It's true. I might be drunk. And by "might", I mean, I "am". Admittedly my boss texted me needing something, so I logged into my VPN yesterday, but that's it. I did what was needed and got out. I'm not sure I would have even done that had it not been pouring out. Rain, nonetheless, I. am. loving. it here. 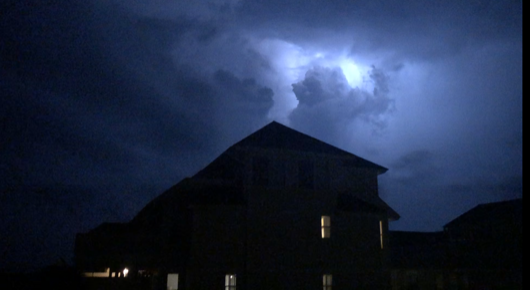 We had an incredible thunderstorm. Two actually. One was so strong, I could feel the house swaying. The one the night before last, the bolts of lightening were incredible. The kind you could see through closed eyes. Yet the day cleared up by noon and we had a fabu day. Later afternoons are spent on the top deck - oh yes, we have two! - with wine, cheese and grapes. It seems a bottle of vino does not go very far. Ruckiry (not Jon's boss), we can walk to places for dinner where I might have a drink and then come home and sample a Golden Monkey (it's a beer, not a Kama Sutra thingy). So yes, it's 21:30 and I'm d-runk. The place is great. Our upstairs / next door neighbors are ok. Mom, daughter and granddaughter (I'm guessing), a gay son and his three gay friends and three fag hags. Oy. The mom is nice. The young fags won't acknowledge these older ones. In 20 years, they have a shock coming their way. what I have dubbed them. (710 to me: "really? have you ever met anyone named 'Janet', ever?") . Mike is FINE! Too good for Janet, if I say so, though she is very nice. Mike like to not wear shirts - and Blobby is just fine with that. He drives a big Ford F250 which might be over compensating, but I'm ok with it. The only downside to vaca is no Shep. Sure we miss Sophie, but she can take care of herself. Shep we kind of feel needs us, and us him. So I type this hearing the palm tree tap against the side window. The doors are now open since the humidity dropped and we can hear the ocean. Tis great. I might have one more drink before bed. Probably not........but I'll leave it open as an option. Glad to hear that you're really enjoying yourselves, and are seriously unplugging from work, with the brief exception of the boss' request. Try and get a couple pics of shirtless Mike if you can! Enjoy yourselves! !